Bring your family, significant others and kids! Come and enjoy a day of treats and outdoor activities! Most of all, come and meet other NECINA and CABA members and friends! Please Mark Your Calendar for the Date - August 6 (Saturday). As an annual outing event and a perfect relaxing recreation, NECINA Summer Outing provides the best opportunity for members to meet, share, play, and network. Date/Time: Important Note: Event postponed due to weather condition. Future date will be announced. The event would be postoned after August 6 if it is rainy. Outing Type: NECINA provides food, snacks and watermelons. Participants are encouraged to bring your own water, but NECINA will also provide some. Activities: Networking, volleyball, boating, hiking, field activities including frisbee, lacross, softball, and board game. Things to bring: Spots gear, running shoes, bathing suit, sunscreen, sunglasses, bug spray, water bottle, foldable lawn chair, umbrella for rain or sunshine, towel, camera & YOURSELF! 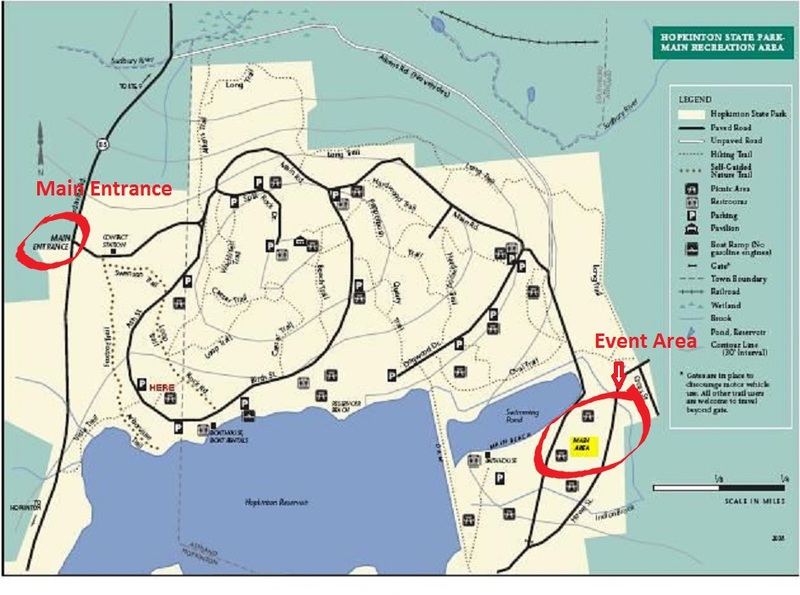 Parking Fee: $10 per car (recommend carpool) to park in the Main Area parking lot in the park. * Tickets are not refundable.